You may be familiar with sitemaps from earlier years on the internet when search engines and website searches weren’t as powerful as today. Many websites had a “sitemap” page which was a human readable index of all the pages on the website in some sort of structure / order. They tend to be less common these days as search has become the default way to find all content on the web. What’s more important these days is ensuring that your content is highly searchable and of course listed on all the major search engines. XML sitemaps were originally invented by google as a way for webmasters to easily submit large volumes of content with metadata about that content. Since then they have gone on to be adopted as a standard and are used by many of the major search engines including Google, Bing, Yahoo, Baidu, Yandex and more. An XML sitemap is a structured computer readable file contains a list of all your pages with details about when they were last updated, how often they are usually updated and how important pages are relative to one another. This enables you to give detailed guidance and advice to search engines about your website and ensure search engines are up to date. 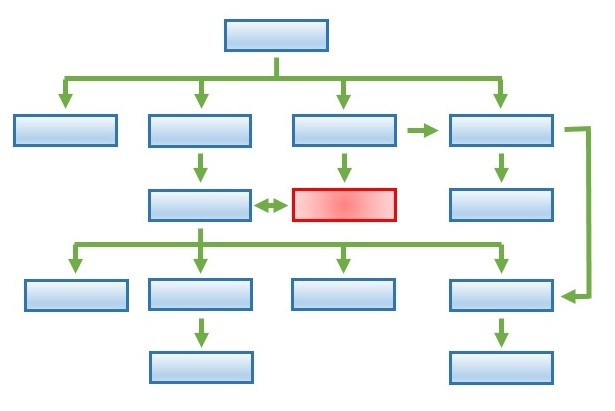 If you are interested in knowing more about the structure and content of an XML sitemap check out this useful XML sitemap example. XML sitemaps are great for websites large and small as they enable you to quickly and easily notify search engines about changes to your website to ensure your website is indexed quickly and correctly. This can be a huge boost for new websites when the natural discoverability of the site is low. There are many ways to create a sitemap, but perhaps the easiest way to get sitemap is to use an online XML Sitemap Generator to get you started. Online sitemap generators typically give you a number of options and index your website to enable you to download your sitemap in a variety of formats. Once downloaded you can edit and upload your sitemap to your website, before finally submitting it to Google and other search engines. For those with large websites / blogs such as WordPress you’ll be better off using a plugin that integrates directly in to your content management / blogging platform. The plugin will typically allow you to automatically create a sitemap on demand and constantly keep search engines up to date. The great thing about these tools is that most of them are free. Whilst you can pay for services many of the free services are very well developed and supported which calls in to question why you would pay. The important thing is that no matter how you create your sitemap, you keep your website up to date and changing, and keep notifying search engines of these changes so that your website content remains fresh and current. A free sitemap generator is a great way to take the hassle out of curating your content and keeping search engines up to date. Next ArticleHow to Increase Followers with No Cost?